Signature agreement cooling check up on a Trane air conditioner. Summers in Murrysville, PA come equipped with staggeringly high temperatures and equally high humidity levels. 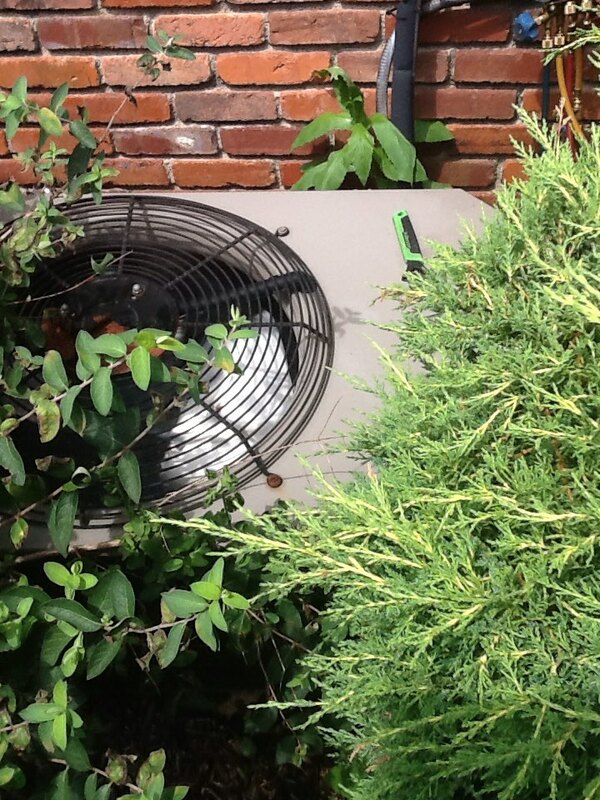 You need a strong air conditioning system to successfully counter them. But that equation changes in the winter, when temperatures drop below freezing and a quality heating system is the order of the day. And indoor air quality is a concern any time of the year, whether it’s pollen in the spring, dust in the summer or excessively dry air in the fall and winter. All those issues have answers with heating, air conditioning and indoor air quality systems in your home. And Boehmer Heating & Cooling provides quality installation and repair services for all of them. Contact us today if you want to install a new system, fix an existing one, or just give them a little TLC! Check with Boehmer Heating & Cooling to receive quality heating, air conditioning and indoor air quality services in Murrysville, PA. When your heater conks out in the middle of our Murrysville, PA winters, you can’t wait until regular business hours to get it repaired. And if you’re looking at an installation instead of a repair service, you may need to move even more quickly. That’s why Boehmer Heating & Cooling provides heating installation and heating services of all varieties, and we have emergency services ready to go at a moment’s notice to keep your household from succumbing to low temperatures on a cold winter’s night. Good heating starts with installation, which needs to be performed by a trained service technician familiar with the kind of heater it is. Furnaces are different from boilers, and both are different from heat pumps, which means that someone who knows the specifics should perform the installation. That’s followed up with yearly maintenance as well as repair calls when they’re needed. 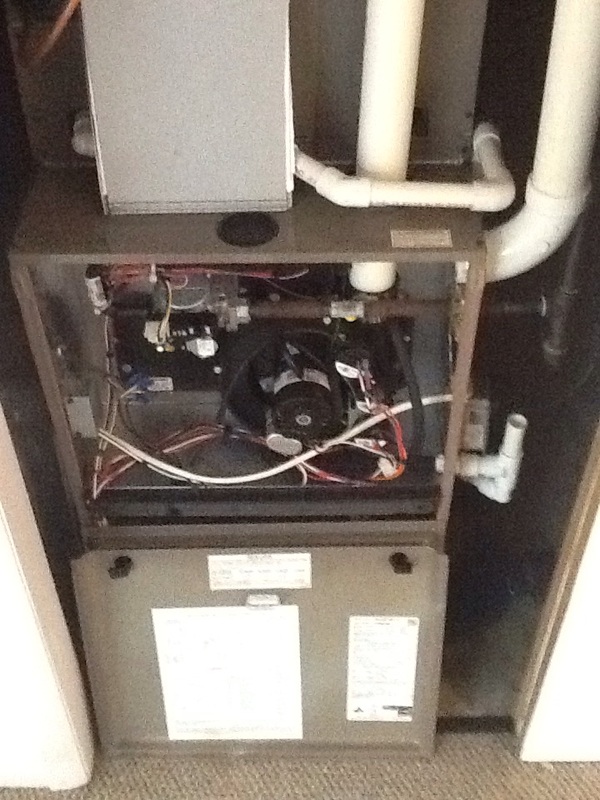 Boiler repairs may seem simple, since the system itself relies on fairly simple principles. But boiler repairs can be extremely tricky, and it usually takes a trained professional armed with the right equipment to successfully engage in boiler repair. Whether your existing boiler is encountering problems or you want to install a new one, trust Boehmer Heating & Cooling to do the job the right way! A forced–air furnace benefits from ease of installation and common use here in Murrysville, PA, but that doesn’t mean they won’t run into trouble. A good installation session from a trained technician can prevent a lot of problems before they start, and with regular maintenance, you can keep your forced–air furnace from running without having to call in a repair session. Heat pumps use refrigerant like an air conditioner to cool your home in the summer, but also use that refrigerant to warm your home in the winter. They’re seeing increased use in our area thanks to recent technological advancements which make them much more energy efficient than they were. If they make a good fit for your home, then call Boehmer Heating & Cooling to install your new heat pump and keep it serviced throughout its life! When thermostats run into trouble, they can cause problems throughout your whole house: failing to turn on or off the air or heat when they should. In many cases, you’ll want to install a new thermostat, but sometimes an individual component can be repaired or the thermostat itself can be moved to another portion of your house. Either way, trust trained professionals to do the job. What’s Up with Your Air Conditioner? If your air conditioner is ready to be put out to pasture, call Boehmer Heating & Cooling to make sure you select the right system and perform a proper installation. You can also count on us to perform a quality maintenance session at the beginning and end of cooling season to help prevent problems, and emergency repairs are an option with our 24–hour services. Summers in Murrysville, PA are too hot and humid to trust anyone else with your system. Contact us today to get the process started! 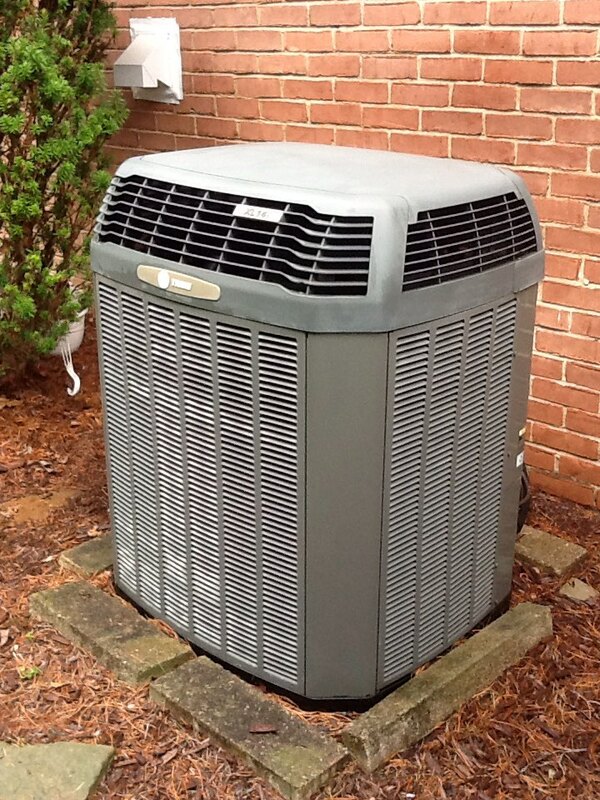 A new air conditioner needs to be properly sized against the square footage of your home and other factors. It also needs to connect to any existing ducts, and otherwise comfortably fit into the space allotted for it. Consulting with our trained technicians about your options can help you find the right air conditioner for you, which we’ll then install with confidence and pride! Air conditioning repair sessions never come at an ideal time. Whether you turn on the system and it leads to horrific grinding noises or you simply notice a spike in your monthly energy costs, the problem can’t wait. This is especially true in the summer, when triple–digit temperatures can turn your home into an oven. Call Boehmer Heating & Cooling for quality air conditioning repair today! Geothermal systems, which tap into the ambient energy of the earth itself to warm and cool your home, offer a number of benefits. They cost very little to operate once installed and because they use a renewable resource, they’re extremely environmentally friendly. But installing a new one takes experience, and keeping it maintained and repair means someone how knows the ins and outs of geothermal systems. Call Boehmer Heating & Cooling today for top–notch advice and service on your geothermal system! What State Is Your Indoor Air Quality in? If you’ve just brought home a new baby to your Murrysville, PA home, then the indoor air quality is of especial importance to you. Or perhaps you have an elderly family member, or one suffering for asthma. Even if you don’t, your household could benefit from an air purifier to clean out dust, or a humidifier or dehumidifier to keep moisture levels in your home the way you want them. We install and service indoor air quality products of all varieties, so contact us today to learn more! Air cleaners and air purifiers use an electrical field to charge dust and other contaminants, which then stick to the walls of a collection plate. They’re place in your HVAC system, where they cycle through the air in your home when the heater or air conditioner runs. It’s an effective system, but it relies on quality service to keep running and a knowledgeable technician to install them properly. 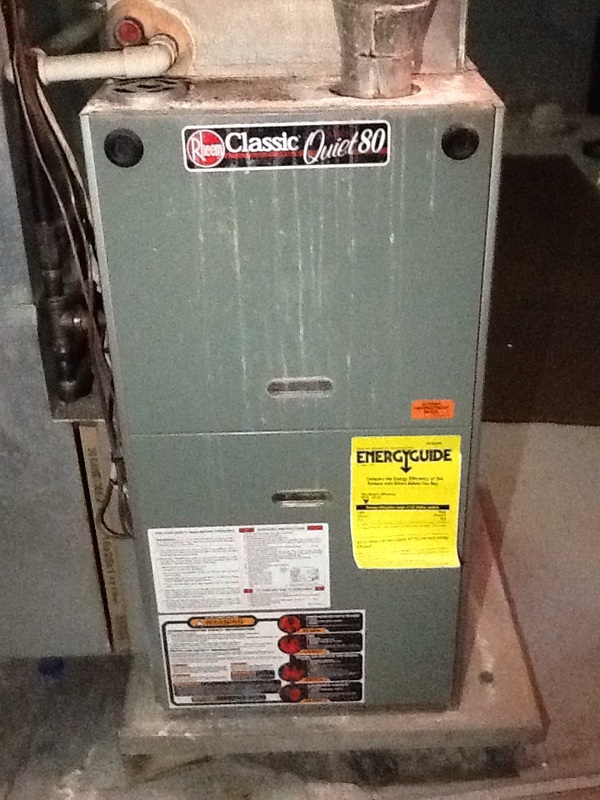 Flat rate no heat call on a Janitrol furnace. No heat call on a Rheem furnace.